Apple emojis have a history of pressing people's buttons. For a long time many apple users were confused about why so few of the emojis represented women and people of color. And now, according to the latest emojis update, black people, too, have families and women can be doctors. Prior to the iOS 10 update, women don't have any professional roles and they don't play sports. Always even addressed this issue with their #LikeAGirl campaign. Earlier this year, Apple announced they would be presenting "more than one hundred new and redesigned emoji characters" this fall. According to the company's site, the team is introducing the new emoji keyboard in an effort to "ensure that popular emoji characters reflect the diversity of people everywhere." 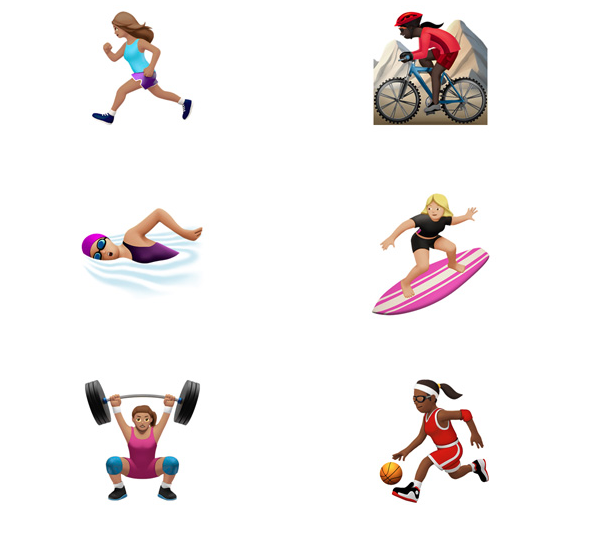 Both iPhone and iPad users can expect "more gender options to existing characters, including new female athletes and professionals, adds beautiful redesigns of popular emoji, a new rainbow flag and more family options" with their with iOS 10 update. Emojis are a part of everyday digital vocabulary, and with 82 percent of girls ages 16 to 24 using emojis on a daily basis, it's about time they be represented. Look out for the iOS 10 update after this week's Apple event on Wednesday, Sept. 7.